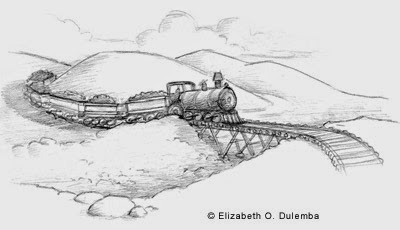 I am tickled pink to introduce you to my darlin' friend, Elizabeth O. Dulemba, illustrator extraordinaire and now first-time novelist. I met e, as I call her, at the LA SCBWI conference several years ago and we have palled around ever since. Her novel, A Bird on Water Street, is garnering lovely attention; now please direct your attention to this post! And if you are the first commenter, you will win an autographed copy of Bird for your very own sweet self! 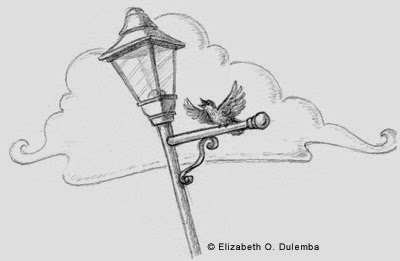 In researching A Bird on Water Street, my debut historical fiction mid-grade, I interviewed tons of people over the course of a decade, from miners to musicians, union leaders to locals, searching for knowledge to tell my story with authority, and for the nuances to make my story feel real. 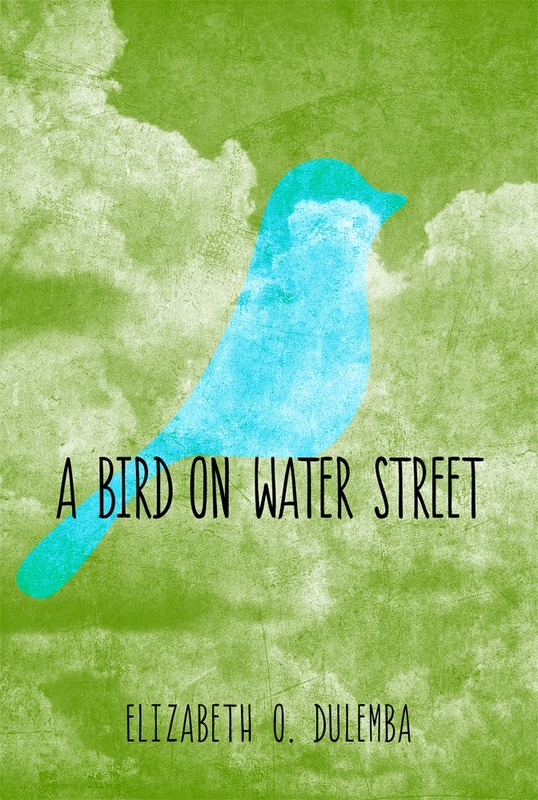 A Bird on Water Street is about a boy growing up in a southern Appalachian town environmentally devastated by a century of poor copper-mining practices. Jack’s dad expects him to follow in the family trade, but Jack just wants his dad safe and the land returned to its pre-mining glory with nature—and trees. After Jack's uncle is killed in a mining accident and the Company implements a massive layoff, the miners go on strike. It seems Jack's wish is coming true, nature is returning. But the cost may be the ruin of his home and everything he loves. My story is based in an all-too real, though little known, locale called the Copper Basin in the tri-state area of Georgia, North Carolina, and Tennessee. 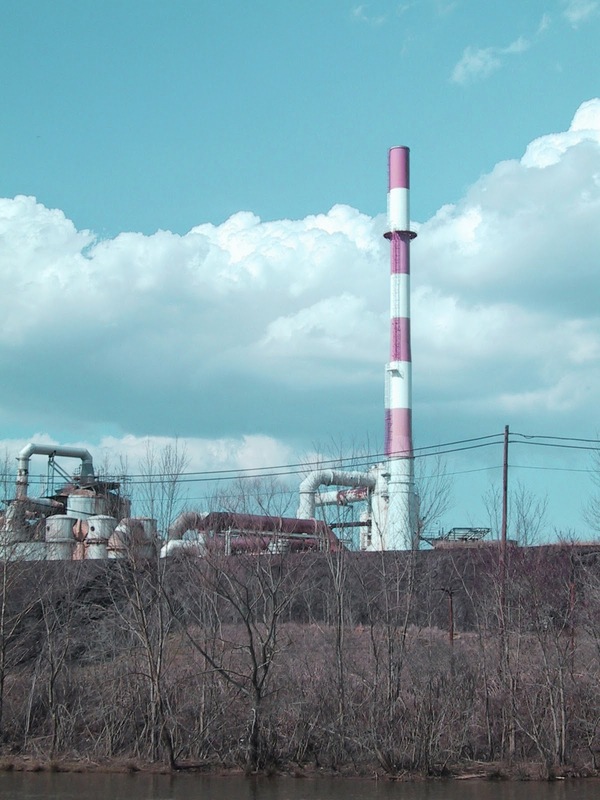 The story takes place around actual historical events—layoffs began in 1986. I remember passing the men on strike when I went camping in the surrounding parks in the early 1990s. (Honk to support a miner!) So, it was ironic (or fated) when I moved to the region in 2001. By then, the land had mostly been restored, although the history was everywhere and demanded that I write about it. To get my head around the enormous topic, I did tons of research and interviews—lots of interviews. 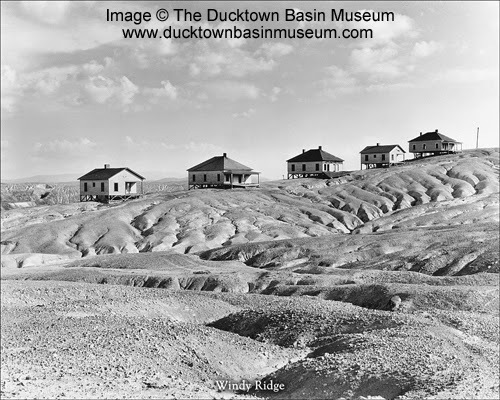 I’m so grateful to the locals who shared fond and sometimes painful memories of growing up and living in the moonlike landscape they called the Red Hills. After the first few interviews, I noticed some patterns that might help others doing research like this for their own historical projects. I quickly learned that face-to-face is always better. When interviewing someone in person I’d notice the hesitations, the glances, the gazes that suggested that I needed to dig a little deeper. I asked questions that triggered memories, like what was your favorite food? How did the light feel? (Was it low, high, warm, cold?) What did it sound like? (Was there a train, children, birds?) These are sensation memories. In fact, our sense of smell is our strongest memory-keeper--it can trigger untapped reservoirs. So I made sure to ask how things smelled. I always had a list of questions ready on a small pad and wrote constantly while folks talked so they could get used to the sensation. But I remained willing to veer off course. A quick smile or sigh could lead to a flash visual or story that might have seemed off-topic, but often-times helped me round out a scene or gave me threads I hadn’t thought of before. In fact, almost all the stories in A Bird on Water Street carry a grain of truth in them. I remained open to new ideas. For instance, I was surprised to learn that some folks didn’t like the return of nature. They missed their Red Hills and hated the allergies and bugs that came with the explosion of green and growing things. It added shades of grey to my story, which I love. For seldom in life are things strictly black or white. Finally, I kept my pad and pen handy during those last five minutes especially. For some reason, after sitting with somebody for an hour, that’s when the dam of time would break and the memories would flood back in. Suddenly they weren’t with me anymore, they were back there, remembering something they perhaps hadn’t thought of in years. And that is when I got scribbling, because that was when I’d get the good stuff! 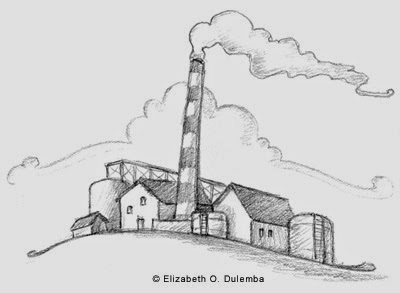 Elizabeth O. Dulemba is Illustrator Coordinator for the SCBWI Southern Breeze region, Visiting Associate Professor in the MFA in Writing and Illustrating program at Hollins University, and an award-winning children’s book author/illustrator with two dozen titles to her credit. 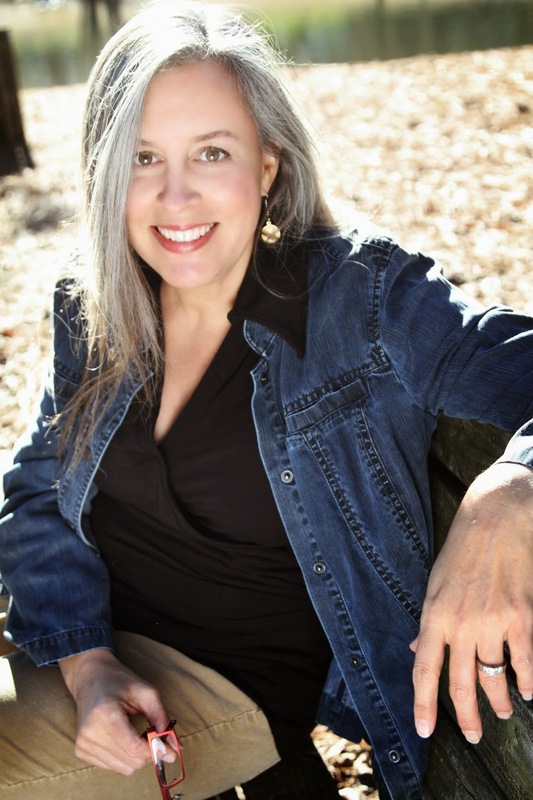 A BIRD ON WATER STREET is her first novel and has already won three awards: it is a Southern Independent Booksellers Alliance (SIBA) Okra Pick; a Gold Mom’s Choice Award Winner; and is THE 2014 National Book Festival Featured Title for the state of Georgia in Washington, D.C. Learn more at dulemba.com and ABirdOnWaterStreet.com. Hmmm. I tried to leave a comment and it disappeared. I will try again. This is a book that has been on my radar for awhile, so I would love to have a copy.I even mentioned it on my blog a couple weeks ago. It sounds terrific. I am super excited to check this book out! Thanks for sharing! Loved your reflections on the interview process, Elizabeth. Thanks for sharing. I look forward to reading A BIRD ON WATER STREET.